This three kid thing is hard. I find some days I barely have time to eat and when I find a moment when it’s remotely quiet to eat, I have to take advantage. You just never know when you’ll have another chance! Some days I’m eating lunch at 9:30am and for this I need something quick and something brunch-like. For this, I make a batch of chicken salad to keep in my fridge all week long. Paired with a croissant, it makes it feel less weird eating lunch so early. At least, in my brain it makes sense. 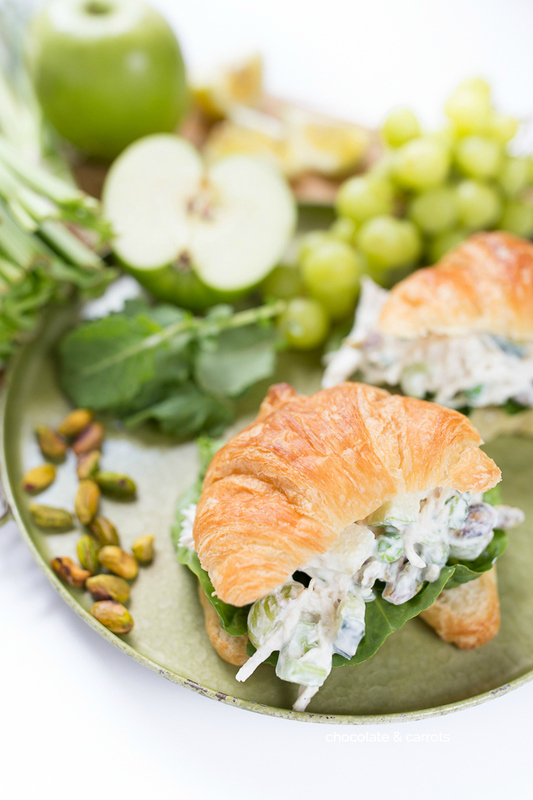 This Green Chicken Salad combines all things green to pack as much nutrition in every bite as possible. Making it with greek yogurt and chicken (an obvious ingredient) packs it full of protein to keep you full for a while. And believe you me, I need all the energy for as long as I can get it! 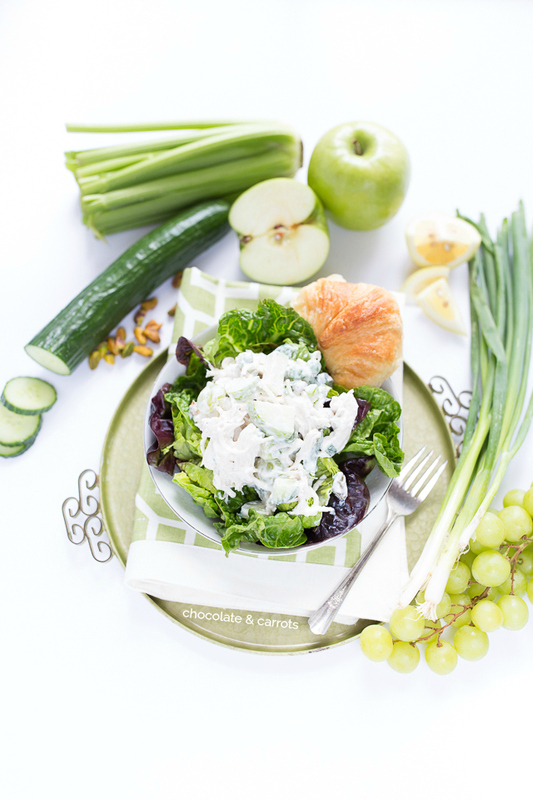 I’ve simply tweaked my original Healthy Chicken Salad to make it nice and greeeeeeeen! 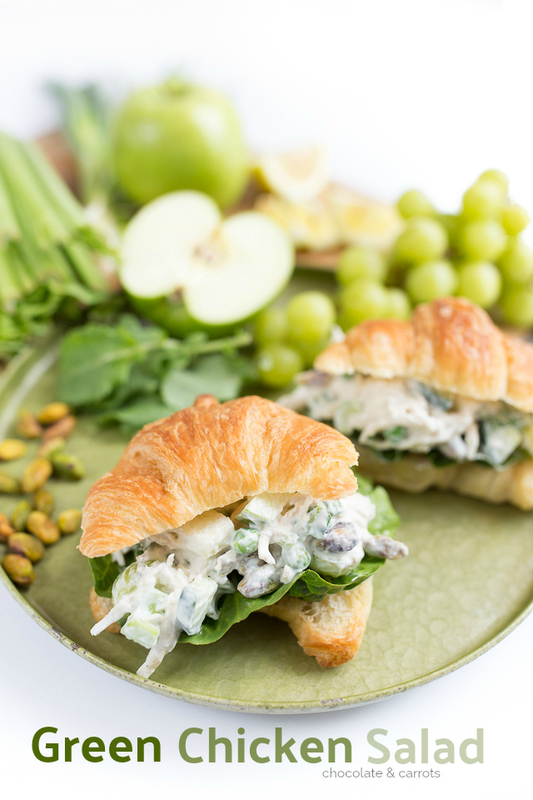 I hope you enjoy this chicken salad as much as we have! Boil the chicken breast in water for 15-20 minutes, or until cooked through (no pink). Place cooked chicken in the bowl of you stand mixer. Mix on low for 1 minute, or until the chicken in shredded (Or shred with two forks). 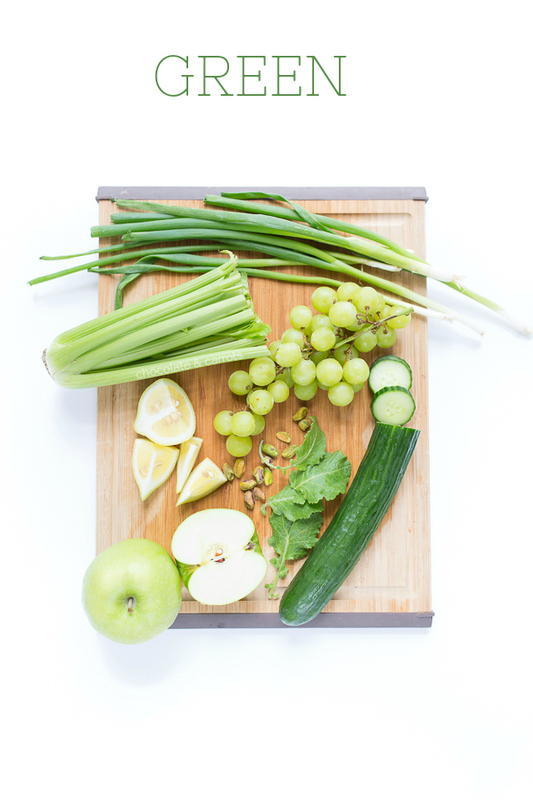 Add in the celery, pistachios, grapes, peas, cucumber, kale and green onion. 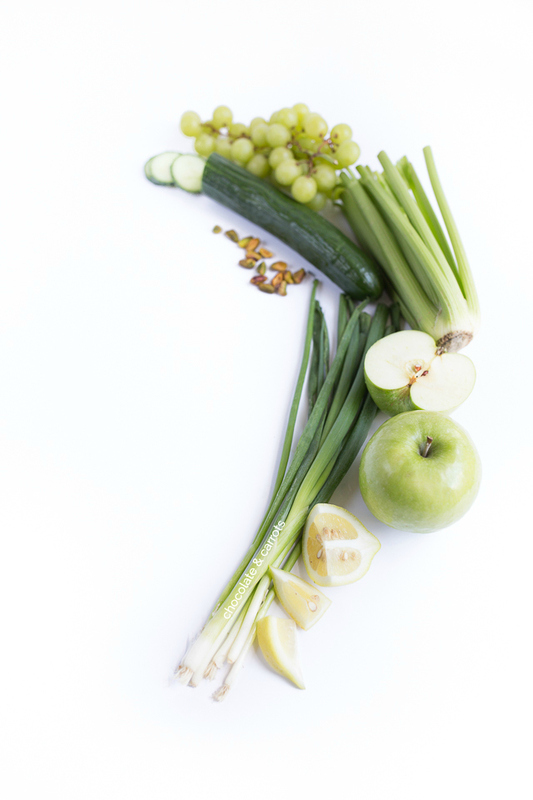 In a separate bowl, combine the green apple and lemon (this will make the apple not brown). Add into the mixture. Add in the yogurt, salt and pepper and mix until just combined. Place in a air tight container and put in the fridge for up to 1 week. 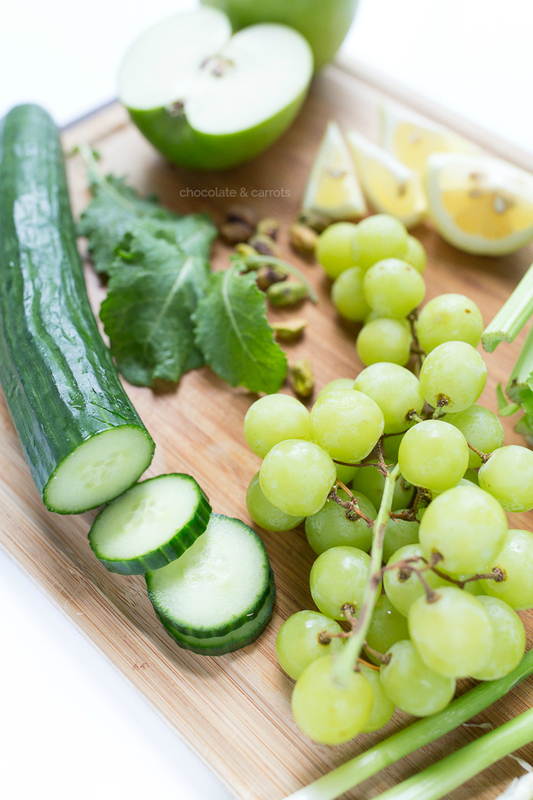 Enjoy on a sandwich or salad!